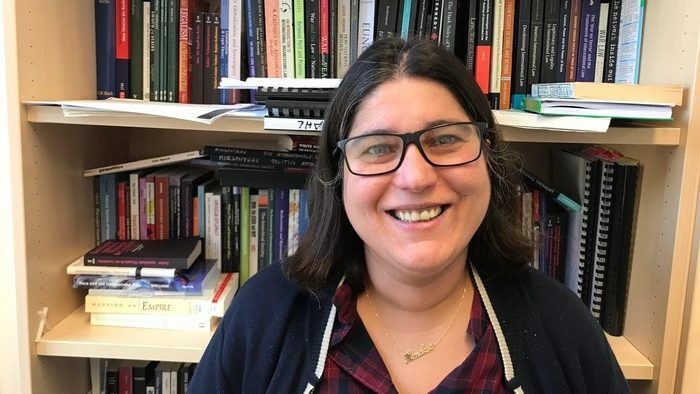 Zeynep Gülşah Çapan is a Lecturer in International Relations, University of Erfurt, where she is also a member of the interdisciplinary Center for Political Practices and Orders (C2PO). After completing her PhD in International Relations at the University of Erfurt, she was a Post-Doctoral Researcher at Bilkent University. She has also taught at Istanbul Bilgi University and Marmara University. Her research agenda focuses on Eurocentrism in the field of International Relations, sociology and historiography of international relations, and postcolonial and de-colonial thought. She is the author of Re-Writing International Relations: History and Theory Beyond Eurocentrism in Turkey. Her most recent publication is a chapter on “Between ‘East’ and ‘West’: Travelling Theories, Travelling Imaginations” (with Ayşe Zarakol) in the SAGE Handbook of the History, Philosophy and Sociology of International Relations. There are no big debates happening within the field of International Relations (IR). What exists at the moment is different clusters of research that very rarely interact with each other, let alone enter into debates. The question, of course, is whether or not that is a positive development. On the one hand, it means that every cluster is focusing on what they find interesting and working on that. On the other hand, it does create a very insular environment where not a lot of dialogue is taking place and where none of the big questions are being addressed. This does not, of course, mean that there isn’t a lot of interesting work being done in most of them, and, I would argue, at the intersection of these clusters or at the intersection of disciplines. The work I will refer to is the work done around the clusters that I am working on at the moment. In the last couple of years, I have been working on Sylvia Wynter’s notion of ‘origin stories’ and the manner in which origin stories are understood in Caribbean thought. There is a very lively debate that has started around Sylvia Wynter’s work; most recently the American Quarterly had a forum on her work, as did a recent small axe special issue. Other fascinating work being done include, but certainly are not limited to, the work of Katherine McKittrick, David Marriot, Alexander Weheliye, and Louiza Odysseos. There is also an interesting debate on excavating the theorists that the canon has left out. There have been works that focused especially on W.E.B. du Bois (Aldon Morris, David Goss and Matthew Hughey) and other authors, such as Suzanne Césaire (Suzanne Césaire’s collective writings, Kara Rabitt). The third cluster of work is on narratives. I am very interested in the discussions around slave narratives and ‘return’-to-a-‘homeland’-narratives à la Aimé Césaire’s Retour au mon pays natal. In terms of problematizing narratives, Deborah Jenson, Victor Figueroa, Chris Bongie, and Jane Hiddleston have been doing interesting work. I would say that the way I see the world is always in a state of formation, but also in a constant state of ‘unlearning’. My initial interest and, to this day, the main medium that makes the most ‘sense’ to me is literature. There are three works that initially come to my mind when asked the question about how I came to be interested in the questions that guide my research. The first one would be Miguel de Unamuno’s The Fog, which sparked my interest in literary theories, eventually leading me to read the works of Tzvetan Todorov, Hayden White, and Mikhail Bakhtin, which were influential in how I came to approach the notion of history. I would also have to mention the works of Edward Said and Bernard Cohn in terms of knowledge production and narratives. The second one would be Stéphane Mallarmé’s Divagations. His entire oeuvre is focused on the relationship between content and form, and it was through him that I discovered Maurice Blanchot and Charles Baudelaire and poststructuralist thought in general. It was also through Mallarmé that I became interested in Surrealism and started reading Aimé Césaire, which also led me to anticolonial thinkers such as Frantz Fanon. The third one would be Gabriel Garcia Marquez and his short novella The Incredible and Sad Tale of Innocent Erendira and her Heartless Grandmother. It was that story and reading about it that led me not only to discussions around magical realism but also debates about economic inequalities and neocolonialism. It was also through Marquez that I discovered the rich Latin American novelists such as Pablo Neruda, Octavio Paz and Jorge Luis Borges, leading me eventually to Caribbean thought. None of these influences were in any way linear progressions; at times, they worked alongside each other and at times against each other, so I am not sure if there were ‘shifts’ or phases that I can identify, it is more like a maze that one is constantly lost in. Your research draws on and combines postcolonial approaches with a sociology and historiography of International Relations. Can you explain how this approach enhances understanding and theorising of the international? What I try to be mindful of is not to become disciplined into a ‘cluster’, and, as such, one of the continuing aims of my work is to bring these different clusters together. That is why the work that I do, whether with respect to sociology or history, is informed by postcolonial approaches. If I had to be very specific, I would say that I approach the study of the ‘international’ through anti/post/de-colonial thought. What I aspire to do is open up the discussions being held, whether with respect to history and IR, sociology of IR, or to the different insights provided by anti/post/de-colonial work. This is not to claim a ‘bringing in’ of these theorists but rather underlining that there is a wide array of archives of knowledge already present that would add to our discussions on history, sociology, and how to theorize the ‘international’. For example, one article I am working on presently aims to problematize discussions around the nature of ‘disciplines’ and meanings attached to ‘language’ within international relations. This is approached via a return to the debates that took place during the Makerere Conference, held in June 1962 on the issue of African literature in the English language and on the discussion with respect to what African literature means. One of the underlying arguments is that a lot of the debates of the present are rooted in discussions that have already been held and that there is a vast archive of knowledge that we can draw from. Another example could be the debate between Walter Rodney and Ali Mazrui about socialism and colonialism. These debates, along with others, are already present in how the ‘international’ was understood, debated and contested, and the sociologies of the field and histories of the international need to be more mindful of these archives of knowledge. You recently published the article Writing International Relations from the invisible side of the abyssal line. What is the abyssal line, and how is it reproduced within academia? Boaventura de Sousa Santos argues that modern Western thinking is predicated upon abyssal thinking, meaning that it works through visible and invisible distinctions whereby the invisible side is the basis of the visible side. He develops this notion through examples of abyssal thinking in modern law and modern knowledge. In constructions of modern knowledge, the line between invisible and visible (abyssal line) is ‘drawn’, ‘constructed’ firstly by creating a line between notions of scientific truth (where modern science has the power to differentiate between true and false as opposed to philosophy and theology). This distinction is where the main debates have taken place because they are on the visible side of abyssal thinking. As such, our debates have focused on the tensions between what constitutes ‘modern science’ and the division between scientific and non-scientific. The visibility of this line is made possible through the invisibility of other forms of knowledge, which are not even categorized as knowledge but rather are considered beliefs, superstitions, and intuitions that can, within this setting, be studied ‘scientifically’ by the precepts of the visible side but never become knowledge in and of themselves. There are two points to elaborate on. Firstly, I used Santos’ concept initially in a forum piece I wrote for the Review of International Studies. The aim was to elaborate on how the visible/invisible distinction works in enabling certain ‘events’ to come to the fore, whereas others become invisible in our narratives of international relations. I am presently finishing an article where I try to develop this relationship further, underlining how the distinction works to establish spatio-temporal hierarchies and to reproduce Eurocentrism. Secondly, in another article I am working on, I focus on how this abyssal thinking is present in our current narratives about knowledge production in academia, not only with respect to how, at present, the distinctions between the visible and invisible work in terms of definitions regulating what constitutes knowledge, but also with respect to what is worth ‘knowing’, and through whose mediations of that knowledge we can know. The example I am presently working on is how ‘de-colonial thinking’ is written through a linear and developmentalist narrative, which reproduces a series of visible and invisible distinctions with respect to what can become knowable. This can be observed in the ways in which Gloria Anzaldúa and her work become mediated through others’ interpretations of her work. This brings up the question of how even the spaces one would identify as being ‘critical’ need to be further scrutinized with respect to what issues become knowable and whose mediation is necessary for them to become as such. In another recent paper, you observed that “the aim to decolonise International Relations has become a widely discussed and mentioned subject across the social sciences and humanities.” What does decolonisation mean for you in this context? The article was an attempt to discuss the issues surrounding the coining of the term ‘decolonisation’ and what it might mean to conceptualize it for IR. Both these concerns started from a general unease with respect to how ‘words’ become easily used and abused, but also lose a lot of the meaning that was attached to them. Critiques of Eurocentrism as a broader banner, at least within IR, encapsulate many different clusters. Not only do these different clusters define Eurocentrism differently but they also draw from very different and at times differing intellectual traditions and have a wide array of solutions. As such, one needs to be careful when characterizing the different critiques of Eurocentrism as they are not one and the same. The initial point of the article was to caution with respect to the usage of the term ‘decolonisation’ and neither to use it as a ‘catch-all’ phrase for being critical nor even as something that can describe all critiques of Eurocentrism. The second step was then to situate the term within the intellectual traditions from which they were emanating. The term decolonisation gains meaning once we start conceptualizing the present international not just as a modern one but as a colonial/modern one. Within that conceptualization, it becomes imperative to talk about how, despite the juridico-political decolonization that has been achieved in certain cases, coloniality as a way of structuring our ways of being, ways of knowing, and ways of imagining still continues. For a few years, there have also been efforts to ‘decolonise the curriculum’ to include more non-Western thinkers in university curricula. To what extent do you think these efforts have been successful? There have been a series of very interesting works that tackle the issue, especially a recent edited volume by Gurminder Bhambra, Kerem Nişancıoğlu, and Dalia Gebrial. There are three dynamics specifically that I would like to further underline. Firstly, there is the need to contextualize and historicize struggles before and beyond this ‘moment of decolonization’, going back, for example, to the discussions that were held at the Makerere Conference. This is not to discount the effort in the name of decolonisation, but rather to be mindful of our roles in this process, especially with respect to how in certain contexts ‘decolonisation’ has become a buzzword and a marketing tool for universities. This takes me to my second point about transformations that we are seeking and what it means that actors so clearly embedded in these systems of oppression are seeking these transformations. To construct the problem as if it is extraneous to us and situating ourselves only as its critiques does not really aid in addressing the issues under discussion. As such, one of the first steps would be to realize our own complicities not only in the neoliberalization of academia but also in its coloniality. This brings me to my third point, which is the political economy of knowledge. For example, one of the issues that almost always get overlooked in discussions about conferences and funding is visa fees. This is because of ‘where’ the discussion takes place and who is participating in it. But to further that line of thinking, there are different inequalities at work within the sphere of ‘production of knowledge’, the way in which the material benefits of where we are situated, and which conferences can be attended; how widely someone’s work can be circulated should not be discounted from discussions pertaining to problematizing ‘university’ and ‘teaching’. The manner in which I would characterize my position would be that I try to ‘unlearn’ and the way I approach teaching practices again is to define them as processes of ‘unlearning’. How exactly can we unlearn colonial power relations and practices? Unlearning is a process with no end result. So, there is no ‘end of the road’ or easy solutions that work across space and time. It is, as stated, a process. A process of becoming uncomfortable, a process of self-criticism and a process of admitting to ourselves the different privileges that we benefit from. I will try to elaborate on this process of unlearning through the courses I am teaching. I am very lucky to be in an institution where I can design courses quite freely and as such teach an array of courses that speak to the themes being discussed in this interview, including Race and Racism, Fantasizing International Relations, Anticolonial Connectivities and Postcolonial and De-colonial Thought. In the Postcolonial and De-colonial Thought course, one of the issues that we are trying to unlearn is our hierarchies of knowledge (what counts as knowledge) and of theory (what counts as theory). This is a process that has two dimensions within the contours of the course. Firstly, we are trying to unlearn what counts as knowledge and theory in the sense of the medium it is being produced in. As such, the course includes Basquiat’s paintings, Aimé Césaire’s theatre plays and Maryse Conde’s novels as texts through which we can discuss different theoretical debates. The second dimension is to then break down our hierarchies of knowledge that classify these texts as postcolonial theory and approach them as theory that makes important contributions to debates about subjectivity and language, knowledge and power, and notions of history. This is the first part of the course. The second part entails the students presenting on texts and theories that they think have been ignored or silenced. This enables a widening of the discussion since I, like everyone else, have limited knowledge. The syllabus isn’t limited by my knowledge, but we are able to open up the discussion further. I would like to underline that I have also been extremely lucky with my students as they have embarked on this journey of unlearning with me. They have been one of the main influences in my journey of unlearning in the last two years. In your recently published chapter in the SAGE Handbook of the History, Philosophy and Sociology of International Relations, you and Ayşe Zarakol challenge IR’s disciplinary narrative that IR theories travel seamlessly through time and space. Can you explain how this narrative has contributed to the illusion that theories travel? Theories do travel but they do not travel seamlessly through time and space. The article is premised on making two main arguments. Firstly, it is a criticism of works that focus on ‘mapping the field’ as a way to understand the dynamics of knowledge production by presenting inventories of who cites who, who publishes where, etc. If one frames the debate about lack of citation of, for example, ‘non-western’ authors, the solution becomes, well, let’s cite more non-western authors. This does not in itself address the issue of Eurocentrism, it addresses the issue of ethnocentrism and parochialism, but not Eurocentrism. Thus, the first aim of the chapter is to underline that approaching the sociology of IR in a manner that emphasizes how to add other perspectives does not address the issue of Eurocentrism. The second aim of the article is to underline the notion of the travelling theories as discussed by Edward Said and Walter Mignolo in order to elaborate on the process of how theories travel, and on why it is that some do not. Do you think IR theories should travel through time and space? They already do. I am not sure the ‘travelling’ itself could be stopped nor that should one try to. The question is whether or not they ‘travel’ seamlessly and what it is that ends up travelling and that never ends up travelling. There are different power hierarchies at work there that we do seem to overlook when we discuss these dynamics. Of course, this relates to what becomes a canon and what cannot find its place in those formations. One of the aspects that I try to focus on is how postcolonial thought itself travelled into IR as a field, and what travelled and what did not. For example, in another book chapter I wrote with Ayşe Zarakol, we underlined the issues that might stem from assuming that all theories remain the same in all contexts. In that chapter, we focus on postcolonial theory and how it has travelled to Turkey. Postcolonial theory, which would, in general, be classified within the critical tradition, has been appropriated for the anti-Western and nationalist agenda of the present government. This is a cautionary tale about how we assume all theories to be value-neutral agents in and of themselves, and that they do not change or become appropriated in different contexts. So, the notion that when we say, ‘postcolonial theory’, we might all be referring to the same thing is an illusion. But this also signals to the importance of paying attention outside of the immediate context in which we discuss them. This has also been a concern of mine with respect to Eurocentrism and how critiques of Eurocentrism are at times presented as the purview of a certain segment of academia in specific locations, which will then solve the ‘issue’ and teach everyone else about it. One of the aspects of Eurocentrism I discussed in my book is how Eurocentrism itself is reproduced in different disciplines as well as in different geographic locations. The way in which colonial modernity works to construct difference differently and hence how we need to pay attention to the different dynamics of that production is an important aspect of Eurocentrism that does not receive enough attention. First of all, be kind. There are a lot of academics I have met along the way who have been extremely kind and generous, and it is thanks to them that I was able to continue in academia but also expand a lot of my thinking. This is one aspect that needs to be constantly underlined. This is not to say, ‘don’t be critical’. Of course, be critical and engage with the work being done but always try your best to do it with an intellectual openness. This brings me to my second point, which is that knowledge is not a singular or linear ‘thing’ but evolves in dialogue and through interaction. Be open to enter into these dialogues; they might lead you towards avenues that you had not initially intended to embark upon. Thirdly, I would underline the importance of reading widely and outside of your immediate research interests and out of your comfort zone.